From the highly popular video game franchise, Street Fighter, comes Ryu as he is seen in one of his most popular alternate costumes! The Street Fighter V Ryu Brown Ver. 1:12 Scale Action Figure - NYCC 2017 Exclusive stands about 7-inches tall. 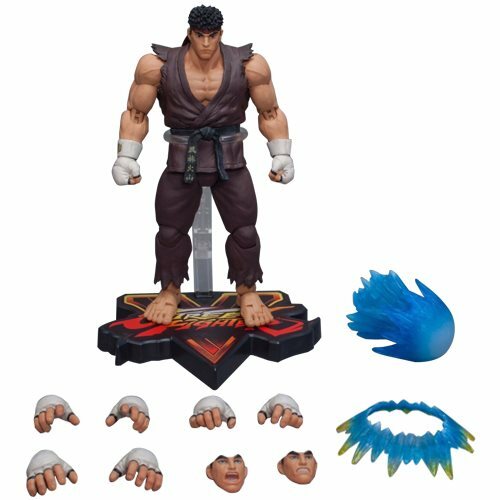 Features over 30 points of articulation, allowing you to pose Ryu in all his special moves including Hadoken, Shoryuken, and Tatsumaki Senpukyaku! The figure set includes: Hadoken effect part, 3x exchangeable facial expressions, and 4x exchangeable palms.